For more than 40 years, Hoffmann Brothers has been the trusted source for St Louis mechanical contractors. Our experienced technicians and staff mechanical engineers handle most mechanical contracting needs including heating, ventilation and air conditioning (HVAC), commercial plumbing, and a huge range of mechanical services. To request a bid, call Hoffmann Brothers today at 314-664-3536 or fill out our online form below. Many of the St Louis area’s great businesses require a refrigeration system to operate around the clock. At Hoffmann Brothers, some of our popular commercial refrigeration clients include gas stations, restaurants, bars, grocery stores, hospitals, dairy manufacturers, hotels, and ice cream store. Our commercial refrigeration services go far beyond these. If you don’t see it, just ask, we cover all installations and services! An interruption or break in the refrigeration system in any of these industries could be disastrous. Call Hoffmann Brothers for your commercial refrigeration repairs, replacement and first time installation needs. Every business and commercial property must have reliable plumbing. Call upon Hoffmann Brothers commercial plumbers when you are ready to bid for a new plumbing project, including retrofit jobs. Our team of expert plumbers can complete every commercial plumbing service, repair and replacements needed for your business. And our plumbing and drain technicians can also help wiht any drain, water main, and sewer repairs or replacement. And be sure to review our residential plumbing pages for all your home plumbing needs. When your business or commercial location requires service, installation or repairs for heating, ventilation and air conditioning (HVAC), Hoffmann Brothers’ commercial HVAC technicians can assist with your current design or will retro fit any type of Mechanical HVAC or System for your St Louis area business. Our experts regularly assist St. Louis businesses with boiler repairs, rooftop units, chillers, air handlers, water heaters, clean rooms, ductless air conditioners and beyond. Call us today to get handle all of your commercial HVAC needs throughout the St Louis area. We value our commercial clients and Hoffmann Brothers staffs a full time Commercial Maintenance Consultant to guarantee that our commercial customers receive the dedicated attention you require and deserve. 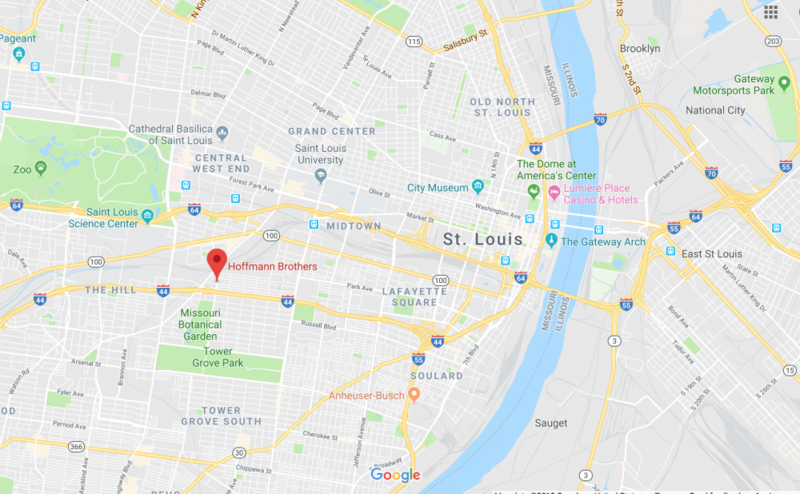 Robert Hoffmann, owner of Hoffmann Brothers, is a licensed Mechanical Engineer, and his company provides the very best for St. Louis businesses. Our exceptional commercial division comes with qualified commercial technicians that are dedicated to the exclusive service of our commercial clients. That translates into faster response and only the most qualified teams working on your commercial properties. St Louis metropolitan and the surrounding areas cover the expanse across the State lines of Illinois and Missouri, with the city of St Louis as its center. 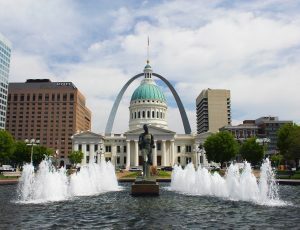 Representing approximately 16 different counties, the St. Louis has about 3 million people calling it home and visitors flock to attractions like the St. Louis Gateway Arch and Busch Stadium to see the Cardinals in action.